Open Data Day’s coming – let’s help out! Comments Off on Open Data Day’s coming – let’s help out! March 3 is Open Data Day, and groups all around the world will be using Open Data in their communities, to show its benefits and to encourage the sharing of more data from government, business and civil society. Obviously, that depends on their having some good-quality data to work with — and we’d like to help make that happen. Or, more accurately, help you to help make that happen. Just as with Global Legislative Open Week last October, we’ll support groups who would like to run a workshop, getting together with other like-minded people to improve the open political data available for your country in Wikidata. 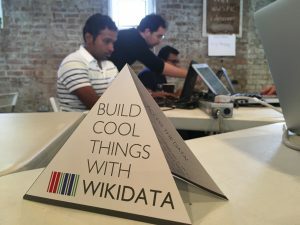 Thanks to the Wikimedia Foundation, we’re able to offer some support to individuals/groups who are interested in running Wikidata workshops during February. 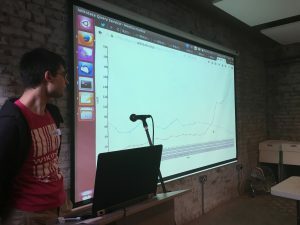 If you’d like to hold an event like this, it’s pretty simple: all you need is a space, and someone with some existing Wikidata skills who can show others how to add or improve data. Then you just have to pick a date, and put out the word for people to join you. Workshops can take place at any time until the end of February. If you know your way around Wikidata, we’d love you to join in with the global string of events taking place for GLOW next week. We’re very keen to get as many people as possible helping to improve the quality of Wikidata’s information on politicians. Why? Well, let’s take a quick look at a recent story that hit the news. With Germany’s new parliament gathering for the first time on October 24, der Spiegel took the opportunity to examine their male-to-female balance, in the context of legislatures across the world. At around 31% female, they noted, the Bundestag now sits at the better end of the scale: parliaments almost everywhere are male-dominated. How were they able to make such an assessment? As they note at the foot of their article, they used data on politicians’ gender from our EveryPolitician project. A further exploration looked at age — they discovered that on average their parliamentarians were very slightly younger than in previous years — and they note as an aside that here in the UK, we have in Dennis Skinner the oldest MP in Europe, while Mhairi Black is the second-youngest by a whisker. These are the kind of insights we seek to increase through our work with Wikidata as we help to boost the quality of their politician data: we consider such analysis not only interesting, but important. Whether or not countries wish to encourage fair representation across age groups and gender — not to mention many other categories — their decisions should at least be based on facts. As things stand, there are only a handful of countries where data is good enough to be able to make such comparisons: in our vision, journalists, researchers — and anyone else — will be able to turn to Wikidata to find what they need. The forthcoming Global Legislative Openness Week (GLOW) gives us all an opportunity to put a rocket under the quality and quantity of data that’s available to people making analyses like these, that stand to benefit us all. GLOW runs from next Monday until the 30th November, and we’re encouraging people — wherever you live in the world — to get together and improve the data on national-level politicians for your country. We’re already expecting a good number of groups to run events. Get-togethers are confirmed in Slovenia, Bulgaria, Italy, Greece, Spain and more — once final details are firmed up, we think there’ll be action in other countries across the globe. Now how about you? As we said in our post last month, a concentrated effort from a small group of people can really make a difference. We’re especially keen to encourage folk who have some experience of contributing to Wikidata: we reckon that, for this particular drive, you need to already know your way around a bit. So if that’s you, do come forward! Start by having a look at this page, which outlines what we hope to achieve; we’ll be adding more detail this week too. You can add your country to the list if you’d like to, or explore what’s missing in the data of those countries already listed. Or, if Wikidata’s all new to you, why not put out some feelers and see if there’s anyone who can show you the ropes while you work together? One good way is to see if there’s a Wikimedia User Group local to you. Here’s a bit more detail on what a workshop will look like. The idea is to improve information in Wikidata about members of your country’s legislature. The ‘Progress Indicators’ on this page will give you guidance: typically you’ll be working through tasks like adding any missing “position held” statements and biographical data. We’re asking folk to prioritise current politicians, with information for historic members an added bonus if time permits. 1) Can the gender breakdown and average age of members of the current legislature be calculated? 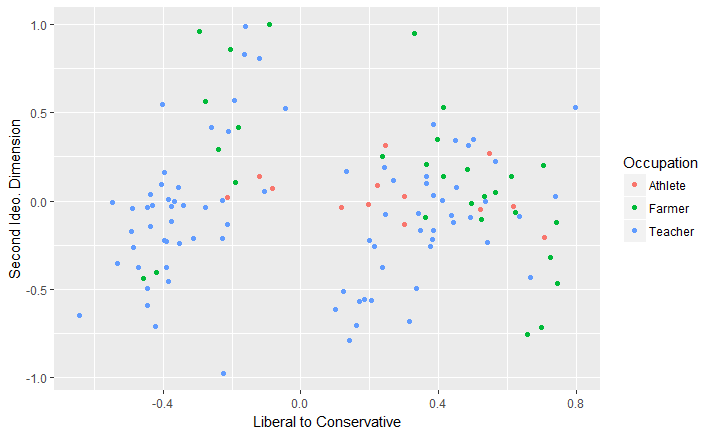 2) Can that be broken down per political party/group, or (where appropriate) by region? 3) Can you compare those figures for the legislature vs. the cabinet? 4) How far back can you generate those for? And if the ideas start to flow, building queries and visualisations to answer other questions will also be very useful. Let us know if you have any questions before the week begins — we’re going to be very busy during GLOW, but we’ll do our absolute best to help. Global Legislative Openness Week (GLOW) celebrates open, participatory legislative processes across the globe. Back in 2015 we marked GLOW by setting up a challenge: could we get politician data for 200 countries up on EveryPolitician within the week, with the help of the global community? The answer was a resounding yes, and the challenge was a massive success. We ended up with data for 201 countries in the end, thanks to help from awesome people from all over the world. This year, we’re running another challenge: to get as many Wikidata workshops focusing on political data to happen during GLOW as possible. This is all part of our Wikidata/EveryPolitician project. The project aims to improve political data in Wikidata, so that it can be used more easily for projects, research or investigations that hold politicians to account. Examples of where good political data is vital include in parliament-tracking websites (like in Zimbabwe, Nigeria and Ukraine) and in cross-border journalistic investigations (like the Panama Papers). Providing this data in consistent and structured formats across countries means the people running these accountability projects spend less of their time gathering the data and more on actually using and interpreting it, to keep tabs on those in power. This project is all part of our mission to contribute to the Democratic Commons. One of the best ways to improve and use political data on Wikidata is to get people together in person to work on their country’s data. So, that’s the aim with this latest GLOW challenge, and we’d love for as many groups around the world to host Wikidata workshops as possible! Improve political information in Wikidata so that developers, researchers and journalists (or anyone!) can use the data in their investigations and accountability projects. Use and query existing political data in Wikidata to see what interesting questions can be answered when data is available in consistent and structured formats. Not sure what such an event might look like? Read up on our recent Wikifying Westminster workshop: it really showed us how much can be done when a few people get together in a room. Access to a dedicated Slack channel which connects you with other groups around the world who are also running events during GLOW. Workshops can take place at any time within GLOW week, which is from 20th-30th November 2017 (yes, that is a long week!). Last you heard from from the EveryPolitician team we were talking about integrating EveryPolitician more deeply with Wikidata. Here’s a quick update on what to expect in the coming months and a note on how you can get involved – we are going to need a lot of help! Before we can make headway on a deeper integration, there are some pretty foundational pieces of the puzzle we need to put in place. This is from a report we have generated to highlight gaps in the links between items. 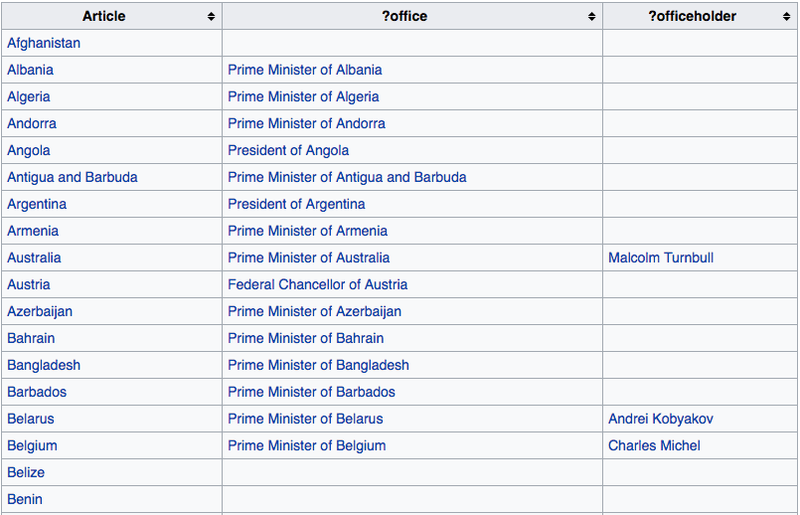 Notice how not even all of the offices have been filled in on the country page, let alone who occupies those offices? Over the coming weeks we’re going to be conducting a few experiments in public and trying to get data into Wikidata. We’ll need as much help as we can get! The experiments will focus on using Wikidata to attempt to answer some questions we find interesting and see how we can expose gaps and inconsistencies in the data. In doing this, we’ll be pointing to specific reports we have generated and asking you to help us fill in the gaps. Keen to dive straight in? Help us fill in the blanks you see in this report! If you are familiar with Wikidata, you will probably be able to get started straight away, but there are also tips and pointers in the Medium post if you want a bit more guidance. You can get notified of the challenges to complete the data as soon as they are published by following the EveryPolitician bot on Twitter. Want even more details on our plans? We should also mention that we’ve updated our proposal to the Wikimedia Foundation to make a couple of things clearer about the problem we are trying to solve and our proposed solution (the proposal is still being reviewed). If you are interested in the nitty-gritty, that’s the best place to get the full overview of what we are planning.